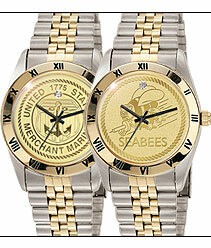 Featuring Your Service Branch Emblem minted on a High-Relief Dial with a Brilliant Full-Cut Diamond Set at 12 O’clock. We proudly present our exclusive Military Diamond watches, to honor those who have served our Country in the United States Army, Navy, Air Force, Coast Guard and Merchant Marine. A special dial, minted like a fine coin and set with a full-cut diamond at 12 o’clock, captures every fine detail of your Service Branch Emblem. 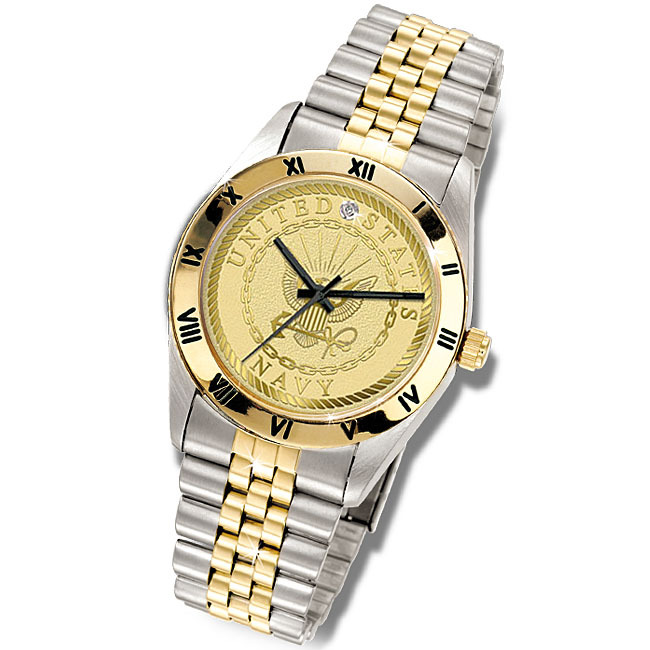 The dial is beautifully framed in a golden watch bezel with etched roman numerals, set on a two-tone watch case and dress bracelet - all decorated with genuine 24 karat Gold. 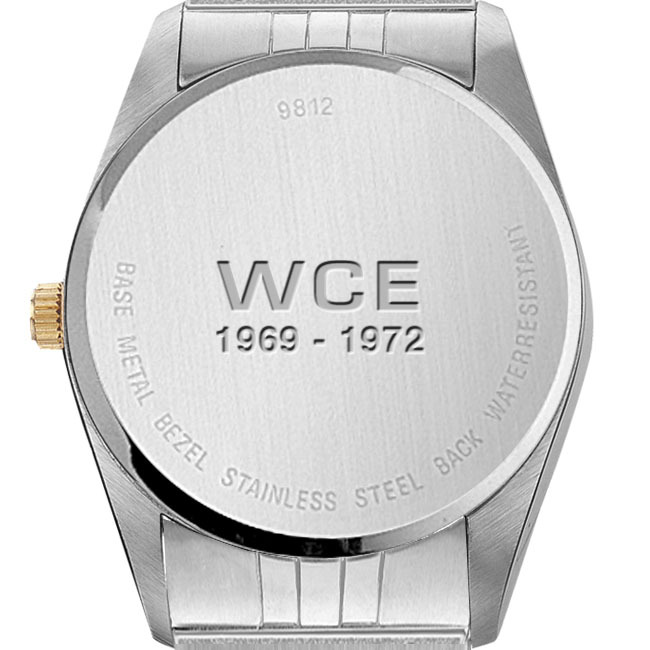 The fine quartz watch movement keeps accurate time within seconds per month. 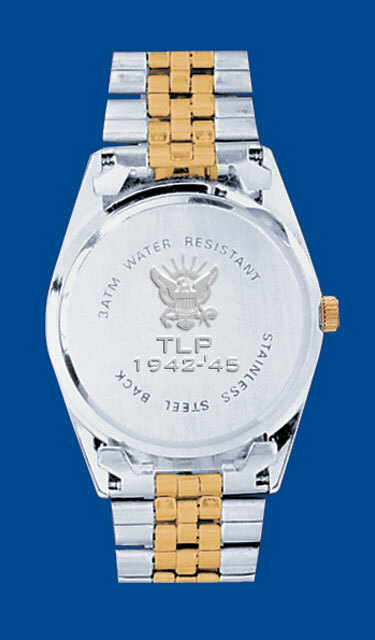 This fine watch is designed by and created exclusively for Veterans Commemoratives™. It is not sold in stores. Your satisfaction is guaranteed 100% or return within 30 days for a refund or replacement.